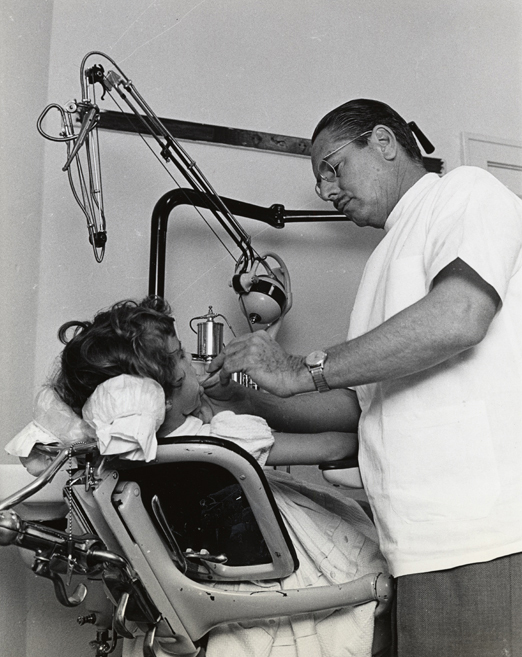 The verso of this photograph reads: In the dentistry section of the U.S. Cuban Refugee Center's medical dispensary, young and old refugees have care of their teeth. Dentists who fled from Cuba attend their compatriots under supervision of an American citizen graduate and licensed dentist. 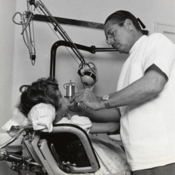 “A Cuban refugee dentist examines a patient at the medical dispensary of the Cuban Refugee Center,” UM Libraries Digital Exhibits, accessed April 22, 2019, http://scholar.library.miami.edu/digital/items/show/237.